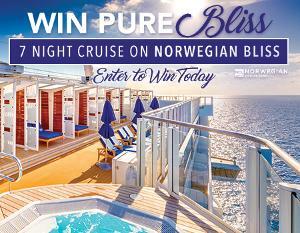 Prize: Grand Prize includes a 7 Night Norwegian Bliss Cruise for Two up to $2,500. no airfare. Statistics: This contest was opened by 34 and entered by 2 ContestChest.com members. 6% of those who opened the contest, entered it.